Throw an MP2100 in there and your set to go. Posted by davelawrence8 at 6:59 am on May 17th, 2010. 2 comments... » Categories: GTD, ipod/iphone, travel. Tags: camera, design, iphone, mac, mobile, on the go. Subscribe via RSS. - Apple lead designer Jonathan Ive, on the unoriginal design of Apple products during the ’90s. Posted by davelawrence8 at 7:31 am on November 11th, 2009. No comments... » Categories: newton history. 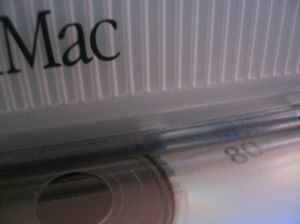 Tags: apple, design, eMate, industrial design, ive, jonathan ive, mac. Subscribe via RSS. - April Greiman, designer, in an interview on idsgn.org. 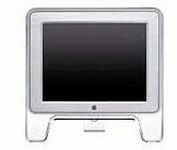 Perhaps the quality wasn’t all there, but Greiman’s interview shows that even the lowest end of the low end Macs were capable of design work. Great two-part interview. Posted by davelawrence8 at 5:36 am on September 29th, 2009. No comments... » Categories: design, lowend, macs. 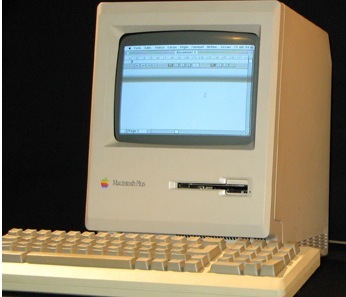 Tags: 512k, apple, design, lowend, mac plus, macintosh. Subscribe via RSS. Isn’t it wonderful how well the G5 and newer iMacs fit into a modular workspace like the one above? Check out more great workspaces at The Shelby. Posted by davelawrence8 at 6:14 am on March 5th, 2009. No comments... » Categories: macs. 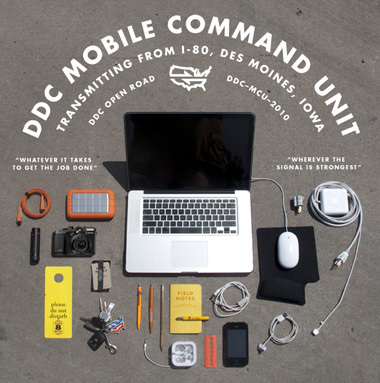 Tags: design, G5, home, imac, intel, mac, office, work. Subscribe via RSS. Someday Newton Poetry will have its own domain name, after a certain goal has been reached. Before that happens, however, I have to draw up a plan. So that’s exactly what I did. If and when Newton Poetry becomes newtonpoetry.com, I’d like to stick with WordPress and do a customized blog. A Newton-looking theme would be great – not on par with some blogs, but sporting a MessagePad-ish theme would fit in nicely. The rough draft above shows a basic outline of what this site could become. 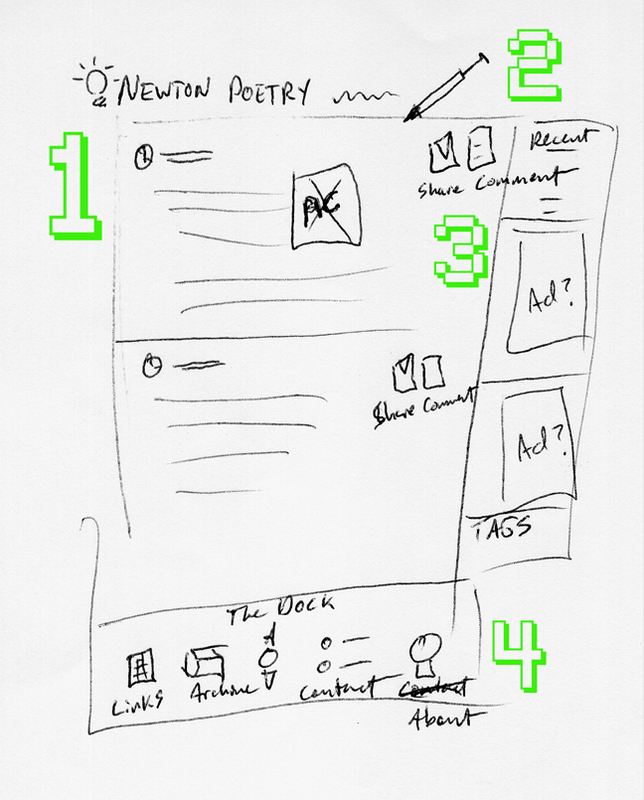 The overall site would look much like the Newton’s screen looks: a dock at the bottom, notes in between (the blog postings) and icons that mimic the MessagePad’s. Each day’s post could include the little Newton clock and date, with the envelope icon for comments. Something like that. My original idea for this site was to include the stylus somehow, but on newtonpoetry.com it’ll be a must. But no green. The header, the site, the posts – all on a nice clean white. Maybe some of the icons can be green. Ah, the sidebar. It’ll have the requisite “archive” and “blogroll” and all the goodies, and maybe some space for an ad or two. This could, possibly, be the spot on the site where green plays heavily, just to set it off from the main body of blog posts. Here’s the dock. It’s a must, I think, and it could be a great spot for archives and such in place of the sidebar. It’s hard to find good, high-quality images of the Newton’s screen, but if I have to I’ll simply recreate the icons. This may be where I put links to the “About” page and my upcoming “Links” page. That’s the plan so far. I’ll still have to learn a thing or two about installing WordPress on a host, and how to manage themes, but it can be done. And now I have a basic outline of how I want things to look. Posted by davelawrence8 at 6:38 am on August 28th, 2008. No comments... » Categories: design. 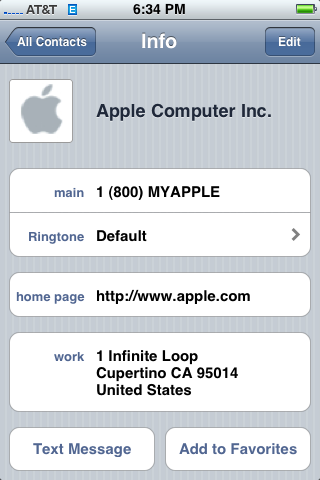 Tags: .com, apple, blog, blogs, design, header, messagepad, newton, poetry, themes, web, wordpress. Subscribe via RSS. Leander Kahney, author of the Cult of Mac blog, got a cover piece wondering if Apple is an evil genius (and it’s caused quite the reaction). What caught my eye, however, was the binding on the cover of the magazine. Notice anything? 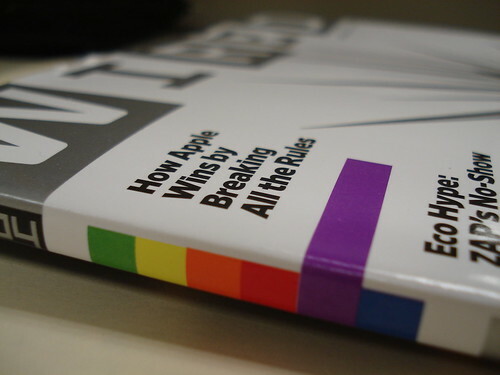 Wired had a bit of fun with the old-school Apple logo colors – placing them in the original order, even. I didn’t even notice it when my subscription edition came, but today I sat at my desk, turned around, and *BAM* it hit me. The old Apple rainbow. Say what you will about Wired pimping their writers’ upcoming books, or their stance on whether Apple is “evil” or not (because they do things differently? ), but their design is fun. If you’re not an Apple fan, you may not have even noticed the subtle clue. In spite of everything, thanks for the nod, Wired. Posted by davelawrence8 at 8:37 pm on March 26th, 2008. No comments... » Categories: apple, design, pop culture. 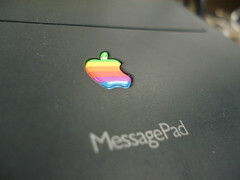 Tags: apple, color, cult of mac, design, evil genius, Leander Kahney, logo, rainbow, wired. Subscribe via RSS. Forgive the header changes – I’ve been playing around with a custom look for Newton Poetry. Any blog header stylists out there want to take a shot at it, I’d love to see your work. Posted by davelawrence8 at 5:16 pm on March 11th, 2008. No comments... » Categories: blogs, DIY. Tags: blog, blog header, CSS, design, header, messagepad, newton, poetry, RGB, style, web. Subscribe via RSS. There’s a blog I just found, called simply “My Newton Blog,” that’s shaped like a Newton. The only part I can’t figure out is how to scroll down through the individual blogs. Going from blog to blog is easy. But reading a blog that’s continued past the viewing point is beyond me. Thomas Brand, the blog’s author, asks a great question – about the need for a walk-through for modern Newton users like me – and maybe that’s something I can get to. A step-by-step process for getting a MessagePad up and running, from purchase to everyday GTD. I’ll contact Thomas and learn more. Posted by davelawrence8 at 9:36 pm on November 8th, 2007. 4 comments... » Categories: Uncategorized. 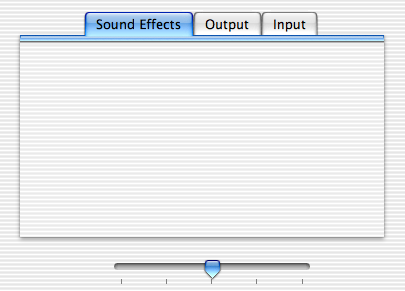 Tags: apple, blog, blogging, blogs, design, HTML, journal, messagepad, newton, OSX, PDA. Subscribe via RSS.